A buck Deer leaps by a lake in the woods on this nature inspired oblong pendant. This rustic Whitetail Deer Island Light is finished in Antique Copper with Silver mica panels. Made in the USA. A buck Deer leaps by a lake in the woods on this nature inspired oblong pendant. 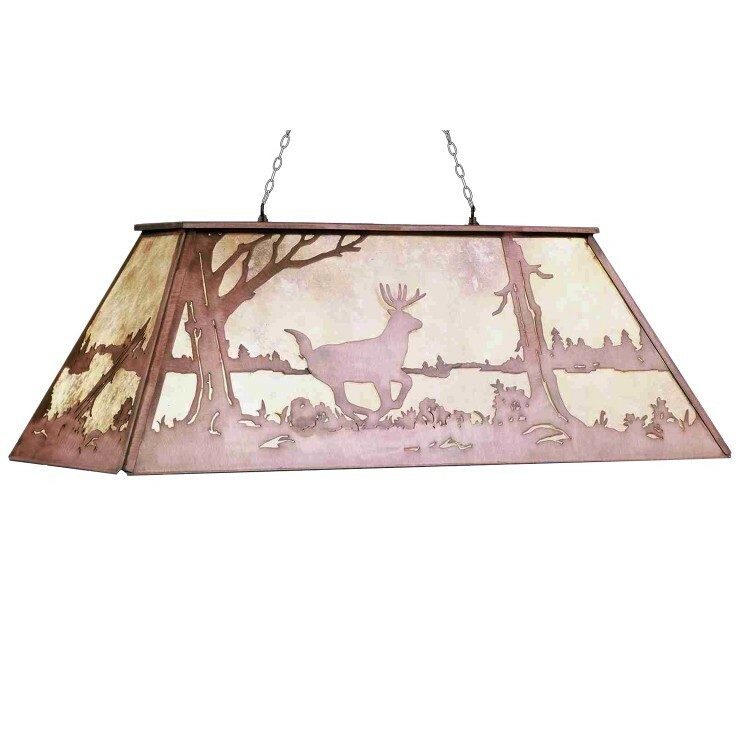 This rustic Whitetail Deer Island Light is finished in Antique Copper with Silver mica panels.